Every body has a story. My job is to find it. One of the best reality programs on television! This is an excellent reality show. It outlines many cases that a forensic pathologist has encountered in her career. The program first gives accounts of the deceased person's life and what lead up to his or her death. Then, Dr. Garavaglia demonstrates to the viewer the possible reasons for the death and how she will go about discovering the cause of death. She will then demonstrate some of what she does such as weighing internal organs or taking photographs during the autopsy. 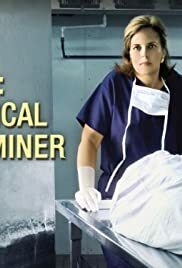 At the end of each case, the program replays what happened to the deceased that led to his or her death once the cause of death is discovered by the medical examiner. Each program usually illustrates a couple of deaths. Many times the names have been changed as well as the actual people involved. Sometimes they reenact the autopsy but sometimes they show an actual autopsy with the face, sexual parts, and injuries blurred. It is interesting and informative. If you are a fan of forensic programs such as the CSI shows but want reality instead of fiction, this is the show for you! If you like some of the crime documentaries such as Forensic Files, Cold Case Files, American Justice, and the like, you will probably like this show as well.